Shahrahzad Belly Dance - Why Belly Dance? 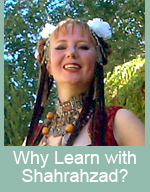 It is natural and only needs to be as difficult as you like thus there is no upper age limits to belly dance. Choreography helps keep the brain quick and supple. 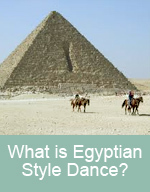 Belly dance is based on the natural movement patterns of the female body. It will teach you how to move your hips and pelvis the way they should. Moving from the inside out, your posture and breathing will improve, and you will feel relaxed and energized. Shahrahzad will show you how to listen to what your body needs. Once you make the connection between your mind and your body, the music and the rhythm, you will find yourself growing more confident, stronger and all the time you are having fun listening to some of the best dance music in the world! Fall Classes Start the week of September 16! Sign up now to reserve your spot in class. Lots of new and fun moves - venturing into some fusion!